Tiger Woods is back at the British Open for the first time since 2015. The three-time Open champion is fresh off a terrific outing at the Quicken Loans National where he shot an 11-under to tie him for fourth place. This will be his first time playing at Carnoustie since 2007 when he finished 12th. Woods has hoisted the Claret Jug three times before in 2000 and back-to-back in 2005 and 2006. It’s his first time back at golf’s oldest major championship since he began his comeback to the tour. 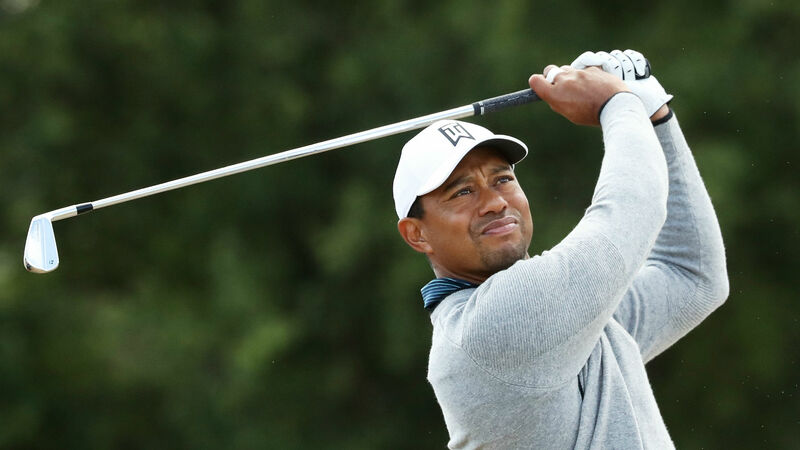 “It has been a while and I’ve missed it,” Woods said. “This is the oldest tournament we have in our sport. I have my name on the trophy a few times so that’s pretty cool. To come out here and play in the Open Championship is always good. Follow along with Woods’ first round at the Open Championships. Second putt: Easy tap in for PAR. First putt: Just misses the long birdie putt to the right. Approach: Solid approach gets pin high to the right. A little long for a birdie try but still a good position to be in. Tee shot: Tiger goes 3-wood off the tee and hits another one right down the fairway. First putt: And he nails the BIRDIE to start the day. Approach: Excellent approach from Tiger who lands its about three yards from the hole. Birdie try ahead. Tee shot: Iron off the first tee goes down the left side of the very brown and dusty fairway. Round 1 has begun. What do you predict he will shoot today?